Definition at line 135 of file state-table.h. Definition at line 139 of file state-table.h. Definition at line 138 of file state-table.h. Definition at line 148 of file state-table.h. Definition at line 153 of file state-table.h. 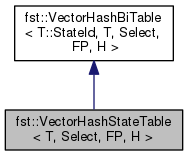 Definition at line 155 of file state-table.h.